Welcome to Episode 8! This week’s conversation is with Elliot Edwards. 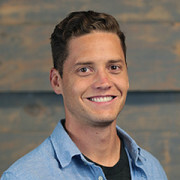 Elliot is an Associate Pastor at Seabreeze Church in Huntington Beach, CA. In 2012 he made the transition from a business career to vocation ministry as an Associate Pastor.